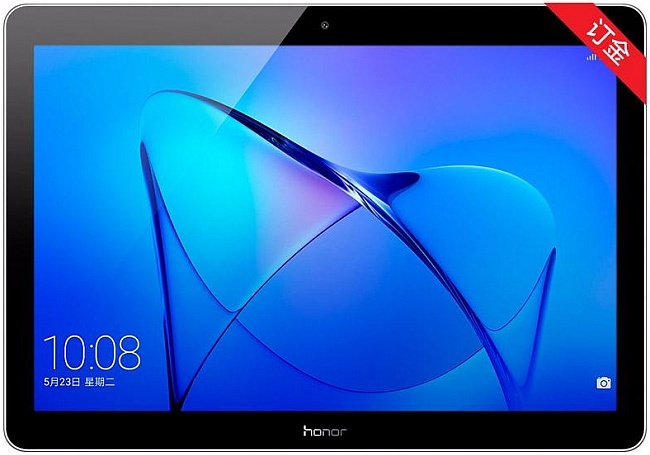 This new Honor tablet comes in two sizes - 8 and 9.6 inches. Both feature an aluminum body and use the Qualcomm Snapdragon 425 processor, running Android 7.0 Nougat with EMUI 5.1 on top. Huawei had quite a busy day since the new MateBook portables were not the only new products introduced during today's special launch event. The new Honor tablet unveiled today is the Play Pad 2, a slate that comes in 8-inch and 9.6-inch variants, both powered by the Qualcomm Snapdragon 425 processor. In addition to the processor mentioned earlier, the two aluminum-body Honor Play Pad 2 versions have the same features, except their screen size. The resolution of the display is only 1,280X800 pixels, but the other specs are decent - 2 GB or 3 GB RAM and 16 GB or 32 GB internal storage, 2 MP and 5 MP cameras, a microSD slot that supports memory cards up to 128 GB in size, a 4,800 mAh battery, all with Android 7.0 Nougat on top (with EMUI 5.1). Both Huawei Honor Play Pad 2 size options come with WiFi and 4G LTE variants. The prices start around $116 USD for the 2 GB RAM WiFi only 8-inch units, up to $218 USD, a price tag being carried by the 3 GB RAM 4G LTE model.